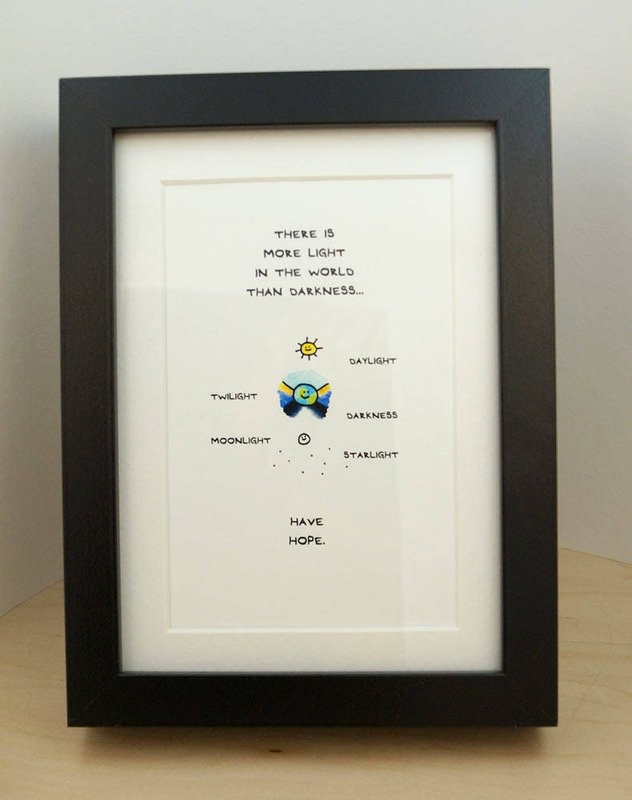 A cute, uplifting print that brings a touch of positivity to a room. Made in Canada, printed on eco-friendly bamboo paper. A percentage of every sale will be donated to Toronto Wildlife Centre. 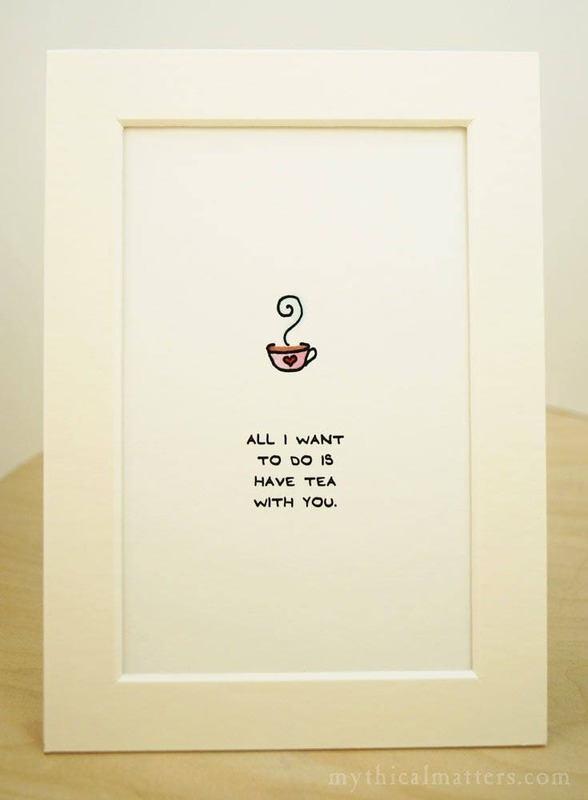 Cute Prints made with love in Toronto, Canada. © Mythical Matters. All rights reserved. Paper and colour may not be exactly as shown. Purchase assumes you’ve read and agreed with our Policies page. Thanks! We accept Paypal, Visa, and Mastercard. Payment is due at checkout, orders won't ship until payment is processed. Thank you. Greeting cards ship in a stiff cardboard mailer by regular lettermail. This is Canada Post's least expensive shipping option, but is not guaranteed. For guaranteed (and therefore refundable if lost or damaged) rates, please convo us with the items you'd like to order and we'll get right back to you with details. If an item is returned due to our error, we will reship at no charge. If the error is on your part, you will be responsible for reshipping costs. All items shipped with guaranteed mail service are fully insured. If your order isn't perfect, please let us know (within 3 days of delivery, please) and we'll make it right. Note that if you receive a parcel that's been damaged, you must mark it down with the courier at the time you sign for the parcel, and keep all packaging until we've resolved the issue. A percentage of every sale is donated to Toronto Wildlife Centre! Wholesale inquiries are welcome! Just send us a convo with your vendor's permit number and contact information.